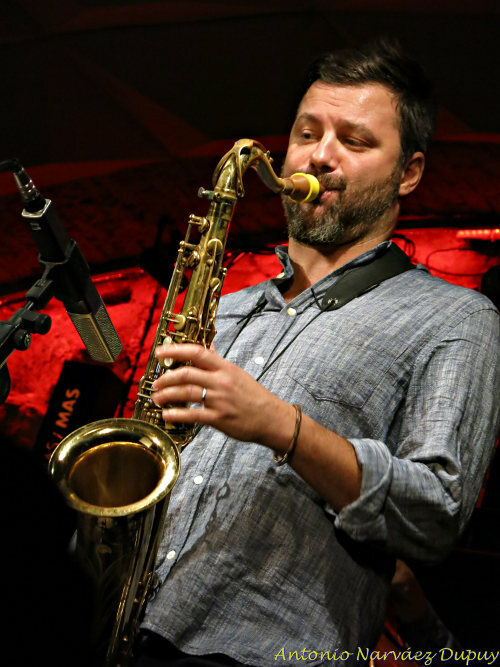 Jure Pukl was awarded highest national award for contribution to Arts in Slovenia (Nagrada Prešernovega sklada 2015) and is one of the most profilic and creative saxophonists of the younger Slovene jazz generation. Pukl obtained university education abroad and studied classical and jazz saxophone at the University in Vienna as well as at the Haag Conservatory of Music. Pukl then won a scholarship to the Berklee College of Music, where he pursued his studies with masters such as Joe Lovano and George Garzone. He completed his masters degree in music at the Graz Academy of Music. 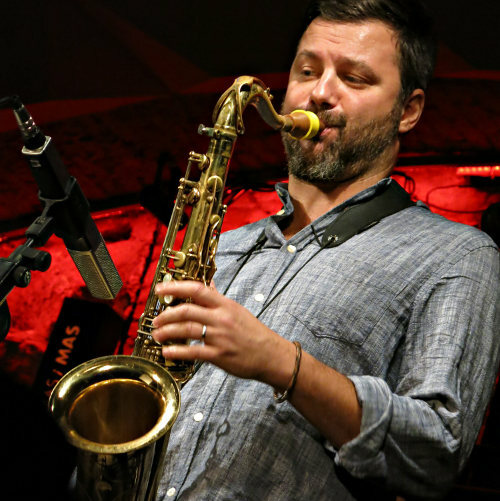 Throughout his studies Pukl performed and recorded extensively, being engaged in his own projects, as well as working with a number of great musicians from different fields in music such as Dave Liebman, Branford Marsalis, Esperanza Spalding, George Lewis, Maceo Parker, Vijay Iyer, Jeff “Tain” Watts, Gregory Hutchinson, Damion Reid, Darius Jones, Doug Hammond, Gerald Cleaver, Adam Rogers, Melissa Aldana, Rodney Green, Charles Altura, Joe Sanders, Aaron Goldberg, Marcus Gilmore, Johnathan Blake and orchestras like Big Band RTV Slovenia, European Jazz Orchestra, European Movement Jazz Orchestra, Vienna Saxophone Quartet and many others. He has been touring extensively throughout USA, Asia and Europe performing in venues such as Blue Note, Smalls Jazz Club, The Jazz Gallery, Ronnie Scotts, The Vortex, Pizza Express, JAZZ SPOT J Tokyo, Porgy & Bess, Stadtgarten and festivals like Moers Jazz Festival, Vienna Jazz Festival, Pori Jazz Festival, Berlin Jazz Festival, Jazz a Vienne, Cairo Jazz Festival, to name a few. His music has won him many awards; among others the 2005 first Jury Prize and Best Composition Audience Award at the Jazzon International Music Workshop and Festival in Novo mesto, Slovenia. In his auctorial projects, such as the Virus, Abstract Society, MEAT or Sound Pictures, Pukl dedicates himself to modern interpretations of jazz. What he creates is a unique type of modern jazz, avantgarde, free jazz and impressionistic contemporary music performed with a great deal of knowledge and love, giving prominence to the interplay between band members. He published 8 Albums under his own name and recieved rave reviews all over the globe among others in the influential Downbeat, The New York Times, Jazzwise, Jazz Podium and All About Jazz. He is also featured on more than 50 other projects as a sideman. My mouthpiece gives a great sound quality, focus, is easy blowing, has a fast response. I like how it is even and flexible over all octaves.